Explore nature play on your natural preschool playground! The 48 inch diameter Pizza Garden is divided into six sections. 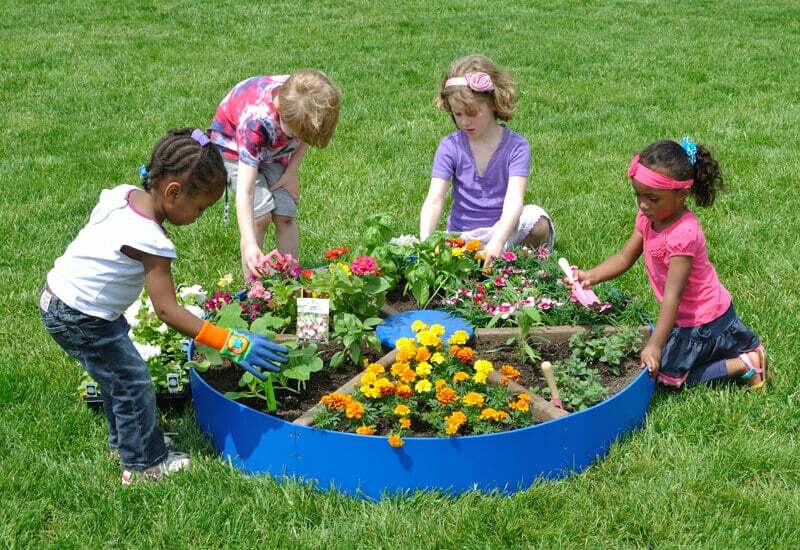 The Pizza Garden allows the children to dig, plant, nurture and harvest a variety of plants. 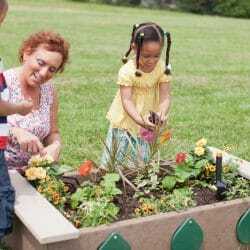 The multiple sections allow children to grow different plants in each section, or enable different groups or classrooms to be responsible for their own section. Make a delicious pizza to share by growing pizza herbs, onions and tomatoes. The Pizza Gardens are open at the bottom to allow the plant roots to grow down into the earth and earth worms to travel up into the plant’s soil. This will help plants grow up healthy and strong.